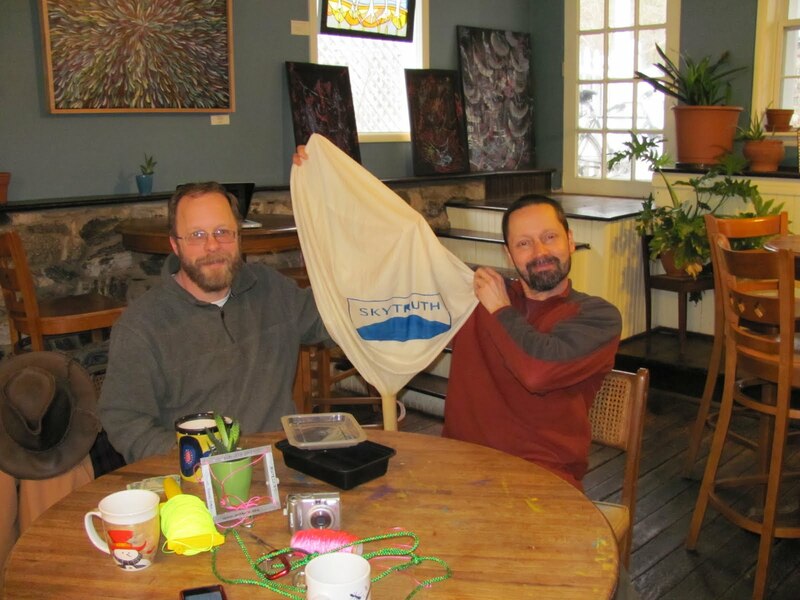 The Potomac Valley Audubon Society will sponsor a presentation about the Shepherdstown-based nonprofit organization SkyTruth at 7 p.m. on Wednesday, March 9 in room 151 at the National Conservation Training Center. Admission is free and anyone is welcome to attend. The speaker will be John Amos, SkyTruth’s founder and president. He will review the organization’s history and discuss its current activities and future plans. Back in January, SkyTruth attended the National Conference on Science, Policy and the Environment held in Washington, DC. The theme of the conference this year was Our Changing Oceans, and you can see our presentation here. While we were there, we participated in one of the breakout sessions entitled Ecosystem-Based Marine Spatial Planning in U.S. Waters: Managing the Ocean Mosaic. Our good friend from MCBI, Dr. Elliott Norse was the moderator for this breakout session, and you can read the summary and draft recommendations here. Monday’s Planned Balloon Launch a No-Go. It’s not nice to fool with Mother Nature. 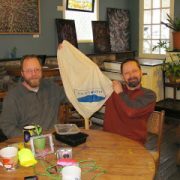 We had hoped to have a successful test-launch of our balloon on the Shepherd University campus on Monday afternoon. Unfortunately, we were grounded by gusty winds which preceded the storm we had on Tuesday. Not to be discouraged, we retreated to Mellow Moods to plot our strategy for the next time. To see some pictures of our first try, click here. Stay tuned, we’re working to reschedule…. https://skytruth.org/wp-content/uploads/2011/02/IMG_0710.jpg 240 320 Teri Biebel /wp-content/uploads/2016/08/test_logo.png Teri Biebel2011-02-23 19:35:002019-02-27 11:03:53Monday's Planned Balloon Launch a No-Go. Images, images and more images! We’ve just finished a pretty big behind the scenes job here at SkyTruth, moving all of our images from an old location to our new gallery space in Flickr. So this will be the first in a series of blogs we’re going to post to re-introduce our images and picture galleries to you. Some of this work shows images we’ve created and collected for various projects over the course of the last few years. Oldies but goodies – we hope you enjoy them! Flickr allows us to organize our images in Sets (based on a common issue or geography) and group related Sets into Collections. We’ll start this tour of our work by looking into our Natural Gas and Oil Drilling collection (probably our most popular gallery). The first set we’re featuring is a big one (don’t be intimidated – click away!) 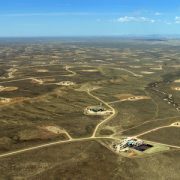 full of satellite images, aerial photographs and other pics and maps showing the rapid spread of energy development in the Upper Green River Valley of western Wyoming, focused on the Jonah and Pinedale Anticline natural gas fields. This set includes time-series of images for both gas fields, spanning 1986 to 2008. Try out the Slideshow tool to see how this landscape has changed over time. 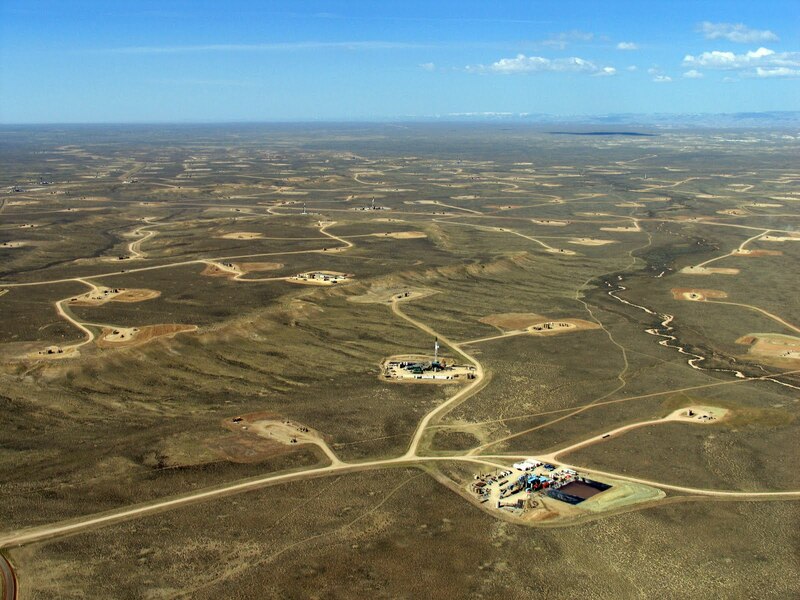 Air photo of natural gas drilling in the Jonah field, upper Green River valley, Wyoming. Photo credit: Bruce Gordon / EcoFlight. This is an area we continue to monitor on an annual basis; we’re just finishing up processing a September 2010 SPOT satellite image to extend the time series of imagery being used by researchers who are studying the long term impact of energy development on two key big game species, Mule Deer and Pronghorn. To read more about the Upper Green River Valley, the work we’ve done and the images we’ve produced, click here. https://skytruth.org/wp-content/uploads/2011/02/skytruth-ecoflight_jonah15_12may06.jpg 300 400 Teri Biebel /wp-content/uploads/2016/08/test_logo.png Teri Biebel2011-02-22 19:43:002019-02-27 11:04:34Images, images and more images! 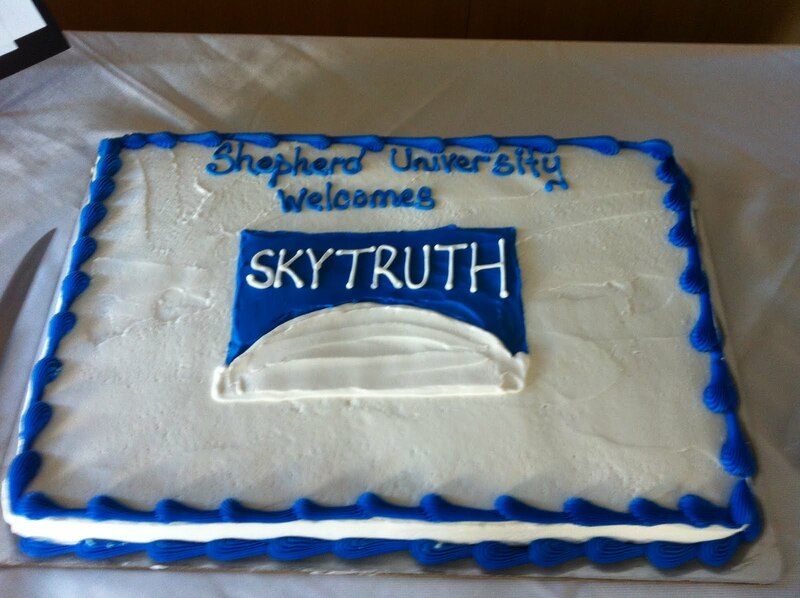 On Wednesday, February 16, staff, faculty and students from Shepherd University converged on the auditorium at the Byrd Center for Legislative Studies. SkyTruth gave a great presentation to a packed house before heading out to the reception area for free pizza, cake and soda. We want to say a tremendous thank you to Holly Frye, Amanda Hanson, Dr. Colleen Nolan and Dr. Ed Snyder for setting it all up! We also want to say how excited we are to have had so many students step up and volunteer to help out wherever they can. 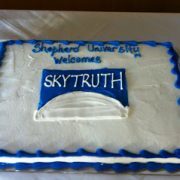 We look forward to the opportunity of working with these enthusiastic students soon and hope that this further strengthens the bond we’ve formed with Shepherd University. Did we mention the cake? It was awesome.